Formed in 1981 by drummer Lars Ulrich and guitarist and vocalist James Hetfield, Metallica have become one of the most influential and commercially successful rock bands in history, having sold 100 million albums worldwide and playing to millions of fans the world over. They have scored almost a dozen multi-platinum albums, including 1991′s Metallica (commonly referred to as “The Black Album”), which is the best selling album in history of Soundscan scanning almost 15.7 million albums in the United States alone, and over 25 million worldwide. In October 2008, their latest album, Death Magnetic, debuted at number one on the Billboard Top 200 Album Chart and in 27 additional countries around the world. It was certified platinum in the United States just six weeks later. Metallica have also garnered numerous awards and accolades, including nine Grammy Awards, two American Music Awards, and multiple MTV Video Music Awards. They were inducted into the Rock and Roll Hall of Fame in 2009. 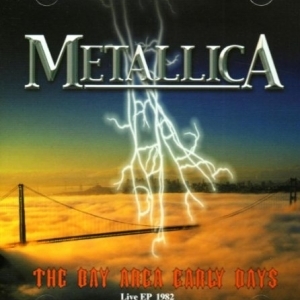 Metallica recently celebrated its 30th anniversary as a band last month, performing four shows at the Fillmore Theatre in San Francisco, CA, exclusively for members of their fan club, the Metallica Club.